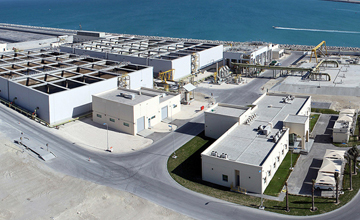 Contractor: Samsung Engineering Co. Ltd.
Encardio-rite was selected to provide complete monitoring solutions for the prestigious Muharraq Sewage Treatment Plant and Sewer Conveyance System, the first of its kind in Bahrain. 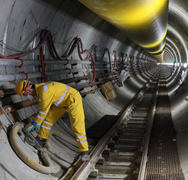 The project involved the construction of a 16 km Sewer Line with 50 shafts and a Sewage Treatment Plant. The scope of work included conducting a pre and post construction building condition survey. 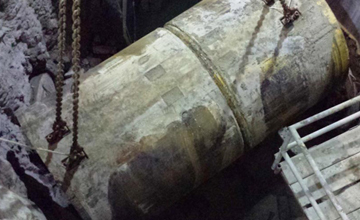 It also included the supply, installation, and monitoring of geotechnical sensors. The instrumentation scheme included an inclinometer, piezometer, borehole extensometer, surface settlement points, building settlement points, tilt meters, prism targets and portable data loggers and survey equipment. An experienced and proficient team of Encardio-rite provided installation, monitoring and surveying services for 3 years. The pre & post construction survey of almost 300 structures and 200 utilities was completed successfully. Monitoring reports were submitted on a daily, weekly and monthly basis. Monitoring reports included interpretations of variations observed in the data with respect to the construction progress in the respective areas. 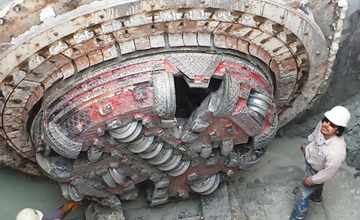 The challenge included daily monitoring while micro tunneling was done simultaneously at 10 locations with 10 pipe jacking machines while excavation of shafts continued at a few places. All the monitoring and reporting was done in time which satisfied all the stakeholders. The project proudly recorded over 10 million safe man-hours without a lost-time incident on the project.